Moving while pregnant, you’re kidding, right? The sorting, the packing, the unpacking, the lost car keys, the lost cat. It is enough to make you want to tear your hair out! Here are 10 ways to simplify your life and reduce your stress while moving — pregnant. Pack basic essentials in a travel bag and keep the bag nearby for during moving nights. Whether you are in the new place, still at the old house, or at a hotel somewhere in between, you can feel confident knowing you have your toiletries, pajamas, medicine, wallet, tablet, and cell phone nearby and available. 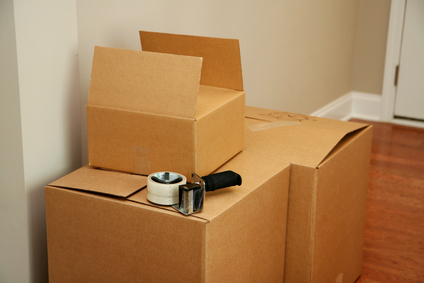 Your physical health and trimester should determine what you can and can’t do while moving. If you are an active and healthy mom-to-be, you can comfortably pack and move small items. But remember – no heavy lifting for you, mama, especially after the first trimester! Large furniture that is old and outdated may not be worth the move. Leave unwanted and out-of-style furniture for a friend or neighbor or arrange to have a donation center pick it up. Shop for new furniture online and have it easily delivered. Delivery is free when you buy sofas at Macys.com, as long as you spend $99. If you feel tired or are having a bout of morning sickness, stop packing and take a break. Your health and your baby’s health are top priorities. Organize and pack all boxes so that all the items are related. For example, put all the nursery items in one box. Put color-coded, removable moving labels on each box and large furniture; assign each room a color. Accept friends’ offers to help you pack boxes or move furniture. It gives you a chance to spend time together and reserves time for rest. Cherish this bond between close friends – it may take you awhile to make friends at your new location, especially after you become busy with the new baby. Photos will help you plan for where to arrange furniture and what type of interior-design theme to have. Map the locations of the hospital where you will deliver your baby, the pharmacy, grocery store, and fast food restaurants. Print out a Google map, use a hospital locator website, or download a GPS app. Feeling lost is very stressful, especially during late night cravings and contractions. A familiarity with your new location will help you feel less frenzied. People are usually interested about the new family in the neighborhood, especially when the newbie is expecting a baby. Your new neighbor maybe just become a good friend whom you can trust and count on in case of an emergency. He may be your greatest weapon against stress during a move. Work as a team to see the humor in a very difficult situation.